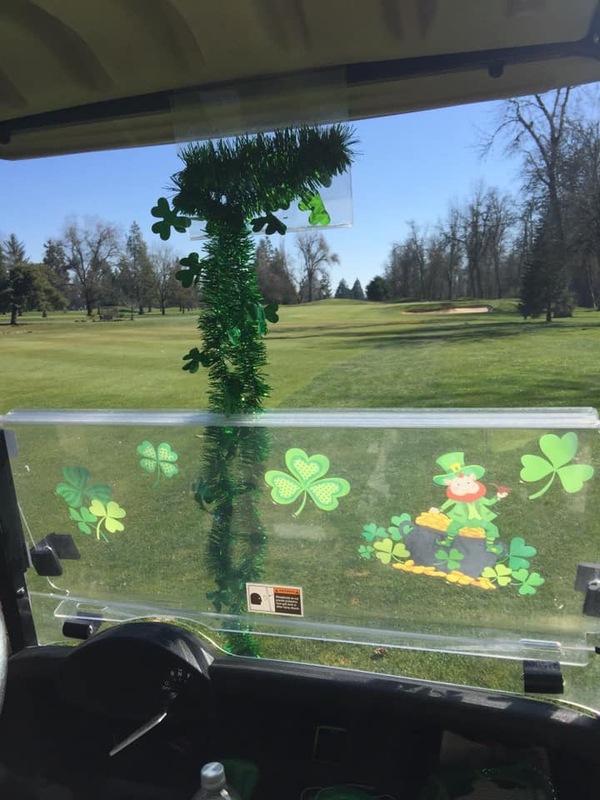 Great Mid-March weather, combined with loads of Irish food, beverages, and golf to make an Irish Open that was memorable for all who played. Click the link below to see the full list of winners! 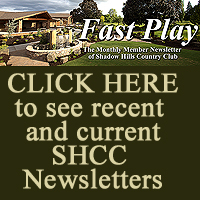 With a change in format this year, the Club Championships were compressed into a stroke-play competition that allowed some new faces, as well as some familiar, to take honors in this year’s Shadow Hills Country Club Championship competition. In the Championship Division, Tim Calhoun (148) took Low Gross honors, with Jeff Croissant claiming Low Net (144). Senior Division winner was Rob Johnson for low Gross (150) and Bill Lang was the Low Net winner (136). Bob Holloway outlasted the Super Senior field to win low gross (151) with Don Richardson claiming the Super Senior Net prize (134). Carla Glasgow was the overall Gross winner of the Women’s Championship division (157), with Tricia Johnson winning the Women’s Senior Division (160). Super Senior Women Winner was Carolyn Townsend (160). 2018 Women’s Invitational Final Results and Pics Galore! 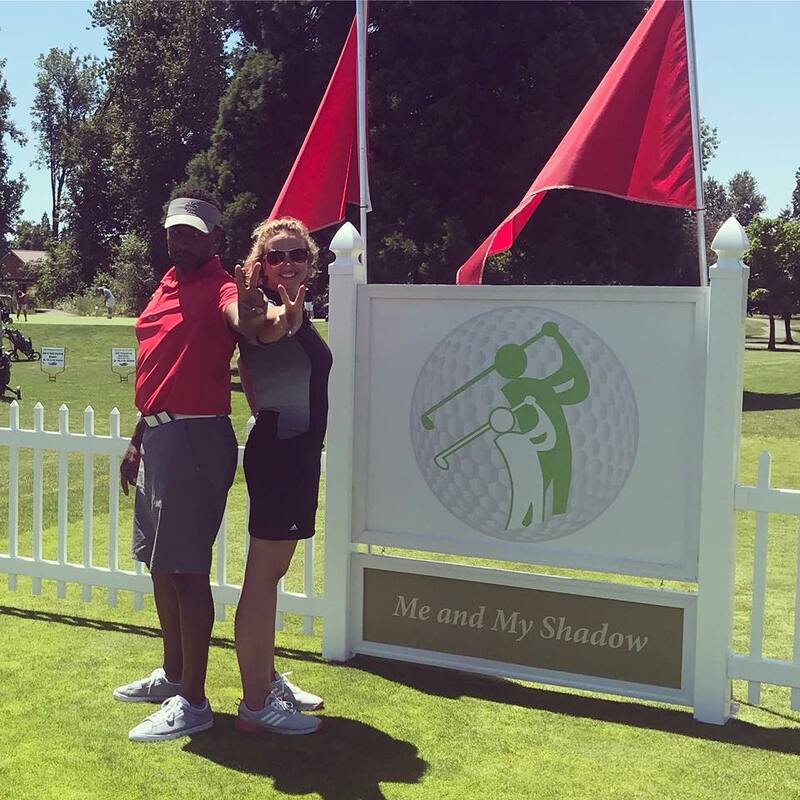 It is rare that Oregon Golfers have to play through elements as thick as those enveloping the two days of play for this year’s Shadow Hills Women’s Invitational. Between almost record heat, and a pervasive cloak of smoke from regional forest fires, the participants and winners truly earned the right to celebrate a long 36 holes! In the end, a previous champion, and some new faces prevailed to take home honors. Overall Gross Champion was Leilani Norman. Net Championship honors went to Lori Reynolds. Super Senior Gross winner Nettie Morrison. Click more for the full tournament leaderboard. 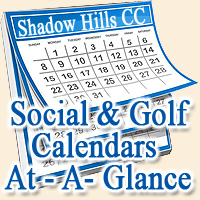 It was another banner year of intense golf competition for this year’s Shadow Hills Country Club Men’s Classic Tournament. 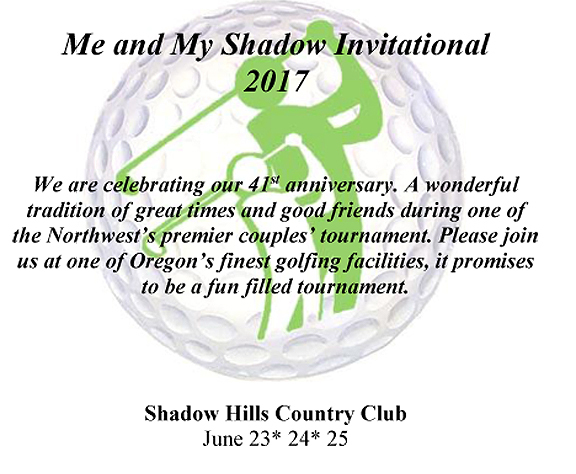 In it’s 54th year, the tournament has grown to be one of the preeminent invitational tournaments in the Northwest. This year, the weather was hot, but the competition was even hotter, as just a single stroke separated many of the winners from the runner-ups, with more than $30,000 in prizes and entry gifts being offered. Trent Thompson and Ryan Schaefer captured the overall Gross Championship with Ryan Larsen and Ed Flores claiming the Net Championship. 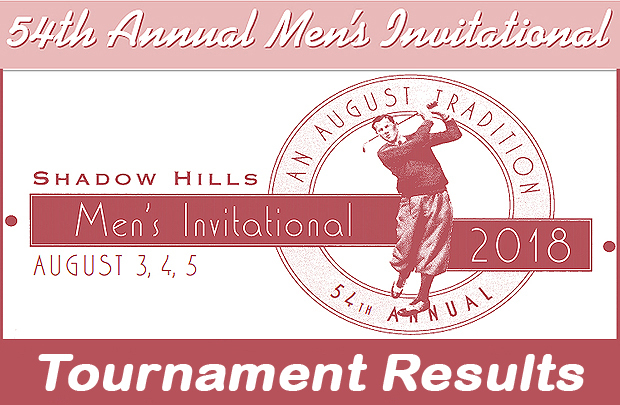 The course was in pristine shape, with good roll on the fairways, and fast greens for both days of competition. 24 Teams, including 12 from each A and B divisions competed once again for the honor of claiming the Men’s League Championship. In the end, the two winning teams won by margins of a point and a half, and two points respectively. with a cluster of teams finishing in the top half. But both winning teams only lost a single match, and remained tied or in sole possession of the lead, from start to finish. As always, the real winners were the members who participated, as a great sense of competition with camaraderie was had by all. 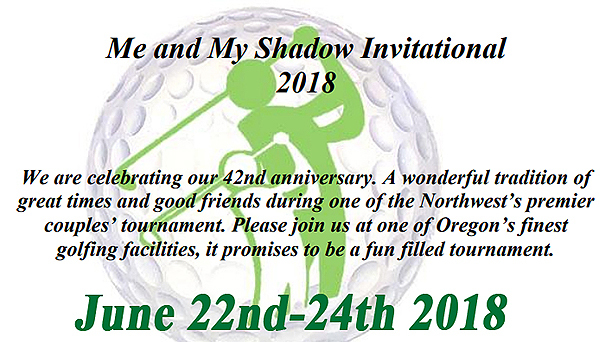 A weekend of great weather, with a full field of co-ed competitors, made for another great year for the annual Me and My Shadow Tournament at Shadow Hills Country Club. There were some familiar faces on the leaderboard, as well as some surprising new names in the money. It was an amazing tournament, played to an almost capacity group of couples that braved record heat, and blisteringly hot scores, to make this event another great success! In the end, the overall winner was a familiar couple who returned from their new home in Bend. Cody and Amy Pinkston ended up with a 4 point lead over the next closest gross finisher. Leading the “Net Bracket” were Ann Marie Levis and Paul Duchin. Sign Up For Email Notifications! CLICK BELOW! Enter your email address to follow ShadowHillsExtra and receive notifications of new posts by email. Christmas Kids Party – Santa Pics and More!